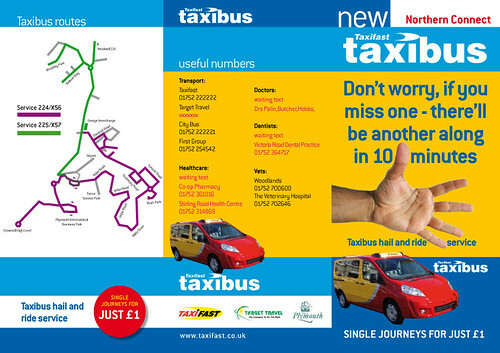 I was told today that the leaflets for Taxifast Northern Connect service have finally arrived and will be sent out and about very soon. I then received a copy leaflet as a PDF which I am guessing is the new leaflet itself. 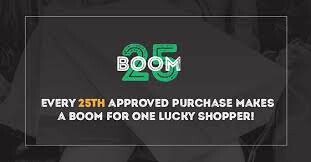 The drivers report that business is slowly picking up now that more people are aware of it, so hopefully these leaflets can only improve matters. Not quite sure about the "another one in 10 minutes" claim though on a service with a 15 minute frequency at best, although I guess this could be be based on both services at peak times passing through Derriford Hospital or The George!